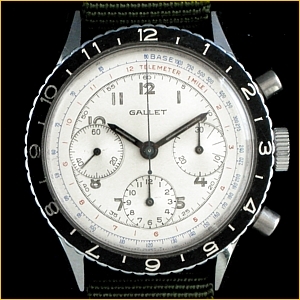 The Pilot, one of Gallet's most popular racing and aviation chronographs, is characterized by its 2 or 3 subsidiary registers, rotating 12-hour time zone bezel, and telemeter & tachymeter scales printed on the periphery of the dial. 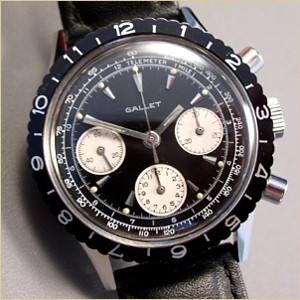 The Pilot model was first powered by the Venus calibre 150, then the famous Valjoux calibre 72 with a few examples utilizing Excelsior Park movements. 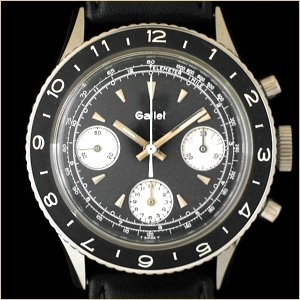 Later examples from the 1970's to the early 1980's incorporated the Valjoux calibre 7736. 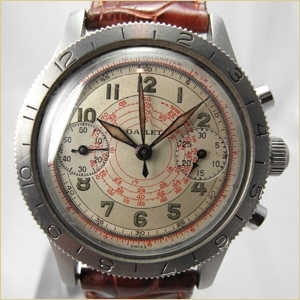 Application: aviation, artillery timing, etc. 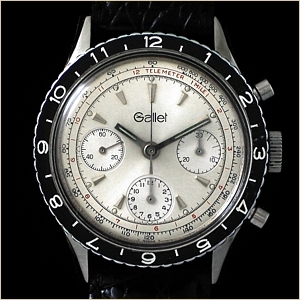 * Valuations for timepieces listed on Gallet World are based on an average of fair market prices, either quoted or realized in retail venues, auctions, and NAWCC national and regional shows. 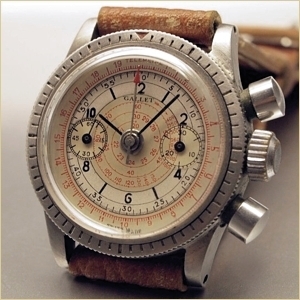 Values displayed are for complete timepieces in good working condition with original dials and components. 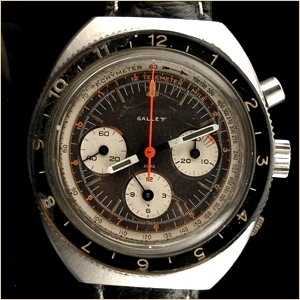 Additional value added for examples in extra fine to mint condition.